The review has taken more than a year and found in favour of the European ceramics industry represented by the European Ceramic Tile Manufacturers’ Federation CET. 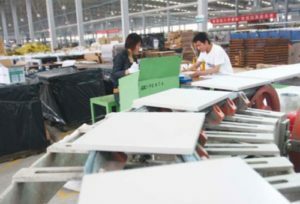 There was a focus on the continued practice of dumping by Chinese exporters, as well as the level of China’s overcapacity, equivalent to four times the EU’s entire tile output. In view of Brexit, the UK will now have an option of whether to follow the EU tariff, or to set its own in individual discussions with China. So the industry needs good transitional arrangements in place during the process of exiting the EU, to ensure that the interests of the few remaining UK manufacturers are protected as far as possible.